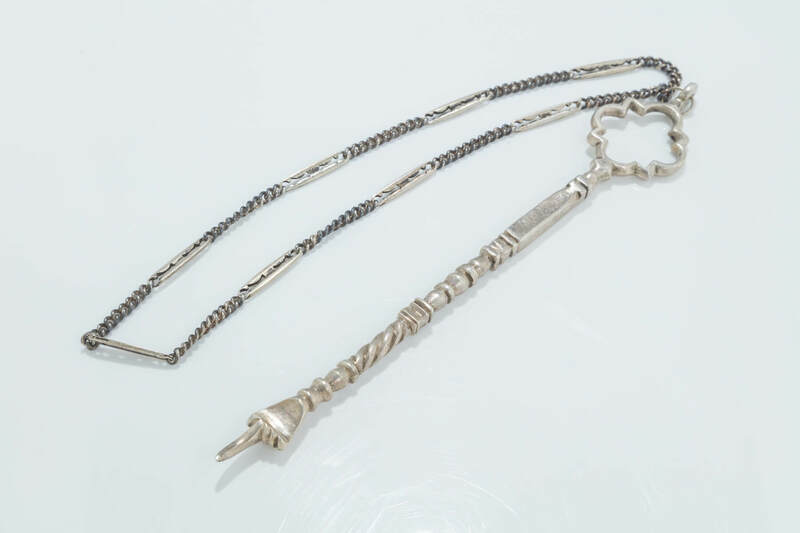 A SILVER TORAH POINTER. Morocco, c.1880. With handmade chain. Upper portion in architectural shape.7.2” long.